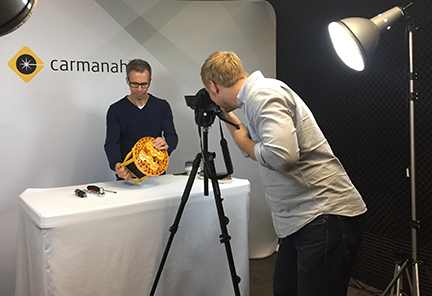 Joining Carmanah means joining an award-winning company that has been a pioneer in solar technology since 1996. We have a worldwide reputation as an innovative, forward-thinking company, and we hire exceptional talent to help us continue to grow. Our team is passionate about what we do and strives to make a difference. Our transparent, open office culture ensures integrity at all levels of the organization. If we don’t have a position open currently that matches your skills, we still want to hear from you. If this is the case, please email your resume and cover letter to careers@carmanah.com. Finance & Accounting: Financial reporting; accounts payable and receivable. Sales & Marketing: Business development; sales engineers; communication and digital marketers. Product Development: Mechanical, software, firmware, and hardware designers; product technologists. Product Support: Customer support; order entry; purchasing; technical support. Executive & Operations: Corporate development; HR; IT; facilities; systems and technology analysts. When I tell people about my job, people are most often impressed and surprised by our global presence. I can honestly say it instills a sense of pride and excitement when I see one of our products being put to use in other parts of the world. We hire great people, so we make sure we give them great incentives in exchange. Our competitive benefits program includes coverage for physiotherapy and massage therapy, vision and dental care, and a health spending account. Our staff also take advantage of our fitness subsidy program, secure bike lockup, shower facilities, and free parking. Don’t forget the free coffee and tea—check out our 360° kitchen view on the right. We pride ourselves on advancing employee careers through continual learning and mentorship. Our training and development subsidies help our team members grow on a professional level. At Carmanah, it’s easy being green, and we’re proud to implement sustainability initiatives whenever we can. Our 99.7% waste-free office has an extensive—and easy to use—recycling program. And we hold ourselves accountable: our triple bottom line approach means we set goals and report on activities that support people, planet, and profit. We are passionately committed to minimizing the environmental impact of our operations and supporting the health, wellbeing, and education of our employees and the people in the communities we interact with and serve. Our team’s challenge of creating a highly efficient electronics design integrated with mechanical and firmware requirements often results in interesting ideas and discussions. I thrive on coming up with innovative solutions to the problems we encounter. Throw in keeping product costs as low as possible while keeping the design manufacturable, and my days are always interesting. We bring passion for our work to other team activities, too. 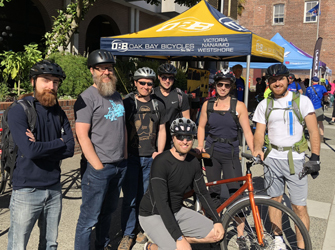 Bike to Work Week, Food Bank Fundraisers, Running Events, Pancake Breakfasts— you name it, we’re doing it! Our Social Committee is an innovative team that brings staff together regularly for fun, fitness and fundraising. We are huge believers in people and their ability to come together to go above and beyond. Over the years, our outstanding team has helped us earn numerous awards and recognition for our business and organizational achievements focused on people, planet, and profit. 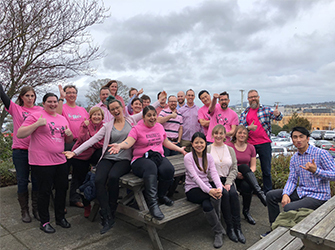 Thanks to creative staff fundraising efforts, our team has won Greatest Overall Contributor for the VIATEC Food Bank Challenge (2016 and 2015); we have also been named University of Victoria Co-Op Employer of the Year (2015), VIATEC Employer of the Year (2016), and were listed as one of Deloitte’s fastest growing companies of the year on their 2016 Technology Fast 500 Ranking. Our Greenest Office award from the Vancouver Island Eco Star Awards (2015) also speaks to our environmental commitment. Since 2011, Carmanah has hired co-op students for positions throughout the business, including sales, marketing communications, product development, and more. We integrate all students into our world, where they learn all about our business and tackle real-life problems and solutions. While we push students to improve, we value their fresh eyes and contributions on how we can grow as well. Several co-op students have even become permanent full-time employees. We are very proud of our co-op program, and believe it is integral in carrying our business forward. Carmanah was a fantastic place to gain experience and grow. With such an open and supportive environment, it is easy to get to know other colleagues and learn from them. Pancake breakfasts, volleyball tournaments, and helping to raise funds (normally through friendly competition) for organizations like Big Brothers Big Sisters and the Mustard Seed are also some of the activities I was able to be involved within the company. Overall, it’s an awesome and fun place to work! We believe in paying it forward in our community. 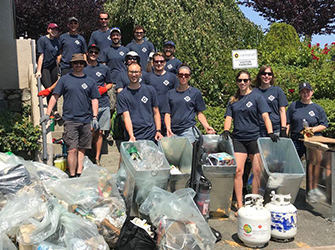 Our annual Carmanah in the Community event encourages employees to spend part of their day volunteering, whether that be cleaning up local beaches or sorting donations for the food bank. We are a proud corporate sponsor for local triathlete Lauren Babineau, who is, in turn, able to spend time volunteering as a mentor via Big Brothers Big Sisters Victoria and speaking about goalsetting in schools. She is also able to double up her training as a guide to local paratriathlete Jessica Tuomela. Their Olympic dreams have our whole team cheering them on.